The membrane processes have received extensive attention as comprehensive and interdisciplinary approaches for water-energy nexus. 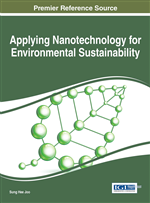 Nanotechnology has induced significant attention in improving membrane performances to mitigate global water and energy scarcity because of its unique characteristics and simple application for membrane fabrication. Nano-sized materials could provide highly enhanced characteristics to a membrane material, resulting in excellent performance enhancement, such as permeability, selectivity, and fouling resistance, of membrane. Carbon Nanotube (CNT), a widely utilized or studied nanomaterial in membrane science, is discussed in this chapter with a focus on its state-of-the-art applications and future prospects. Electrospun nanofiber, which is one of the feasible nano-structured membrane materials, is also discussed as a promising material for water-energy nexus. Therefore, this chapter also describes its application cases and its potential as an innovative membrane for water-energy nexus. The aims of membrane-based processes can be classified into two main categories: water production and energy generation. Fresh water can be obtained from waste water, industry water, and seawater via the MF, UF, RO, and FO processes. On the other hand, different combinations of salinity gradients, such as seawater and river water or seawater brine and seawater, lead to harvesting energy via the PRO process. Currently, polymer-based membranes are widely applied in both academic studies and industrial applications. It is worth mentioning that the convergence of nanotechnology and membrane technology can mitigate global water and energy scarcity by maximizing membrane performance (Figure 1). Membrane processes for water and energy generation.